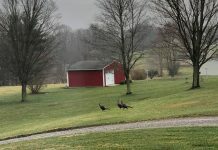 SALEM, Ohio — As drought conditions continue across most of the U.S., new efforts have been announced to assist livestock producers. Agriculture Secretary Tom Vilsack announced July 23 new flexibility and assistance in the U.S. Department of Agriculture’s major conservation programs to get much-needed help to livestock producers as the most wide-spread drought in seven decades intensifies in the U.S.
Vilsack said it is the segment in the farming community needing the most help right now as many of them are being forced to liquidate their herds due to a lack of forage or affordable grain. “Our tools are limited. However, we continue to look at ways to provide assistance to the livestock producers who badly need it,” said Vilsack in a conference call. 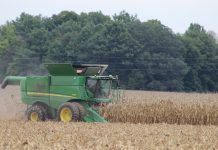 He said that crop insurance programs are available for soybeans, corn and various crops, but there is nothing available to help livestock farmers out in the current drought. Vilsack said he toured southern Iowa over the weekend, and if it is any indication of the rest of the country, then it is still guesswork as to what the yields will be like in the fall. 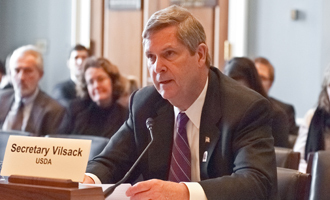 Vilsack also said he is plans to encourage crop insurance companies to provide a short grace period for farmers on unpaid insurance premiums, as some farming families can be expected to struggle to make ends meet at the close of the crop year. The assistance announced uses the Secretary of Agriculture’s existing authority to help create and encourage flexibility within four USDA programs: the Conservation Reserve Program (CRP), the Environmental Quality Incentives Program (EQIP), the Wetlands Reserve Program (WRP) and the Federal Crop Insurance Program. Conservation reserve program. To assist farmers and ranchers affected by drought, Vilsack is using his discretionary authority to allow additional acres under CRP to be used for haying or grazing under emergency conditions. CRP acres can already be used for emergency haying and grazing during natural disasters to provide much needed feed to livestock. 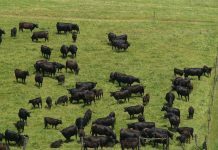 Given the widespread nature of this drought, forage for livestock is already substantially reduced. The action will allow lands that are not yet classified as “under severe drought” but that are “abnormally dry” to be used for haying and grazing. This will increase available forage for livestock. To assist farmers and ranchers affected by drought, Vilsack is providing assistance to farmers and ranchers by allowing them to modify current EQIP contracts to allow for prescribed grazing, livestock watering facilities, water conservation and other conservation activities to address drought conditions. The USDA Natural Resources Conservation Service (NRCS) will work closely with producers to modify existing EQIP contracts to ensure successful implementation of planned conservation practices. In the short term, funding will be targeted toward hardest hit drought areas. Vilsack is authorizing haying and grazing of WRP easement areas in drought-affected areas where such haying and grazing is consistent with conservation of wildlife habitat and wetlands. For producers with land currently enrolled in WRP, NRCS has expedited its Compatible Use Authorization (CUA) process to allow for haying and grazing. To help producers who may have cash flow problems due to natural disasters, USDA will encourage crop insurance companies to voluntarily forego charging interest on unpaid crop insurance premiums for an extra 30 days, to Nov. 1 for spring crops. Policy holders who are unable to pay their premiums in a timely manner accrue an interest penalty of 1.25 percent per month until payment is made. In an attempt to help producers through this difficult time, Vilsack sent a letter to crop insurance companies asking them to voluntarily defer the accrual of any interest on unpaid spring crop premiums by producers until November. 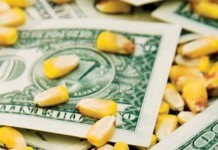 In turn, to assist the crop insurance companies, USDA will not require crop insurance companies to pay uncollected producer premiums until one month later. Thus far in 2012, USDA has designated 1,297 counties across 29 states as disaster areas, making all qualified farm operators in the areas eligible for low-interest emergency loans. Increasingly hot and dry conditions from California to Delaware have damaged or slowed the maturation of crops such as corn and soybeans, as well as pasture- and range-land. 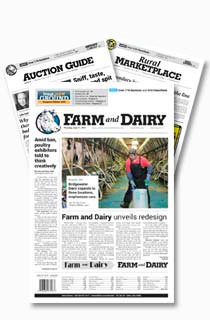 To deliver assistance to those who need it most, Vilsack recently reduced the interest rate for emergency loans from 3.75 percent to 2.25 percent, while lowering the reduction in the annual rental payment to producers on CRP acres used for emergency haying or grazing from 25 percent to 10 percent. USDA offers a variety of resources for states and individuals affected by the recent disasters. For additional information and updates about USDA’s efforts, visit www.usda.gov/drought.